The five states went to polls in November and early December. New Delhi: Telangana, Madhya Pradesh, Rajasthan, Chhattisgarh and Mizoram will get a new Assembly on Tuesday after the votes are counted and results declared. The five states went to polls in November and early December. While Chhattisgarh voted in two phases on November 12 and 20, the other four states saw a single phase polling. Madhya Pradesh and Mizoram went to elections on November 2 while electorates in Rajasthan and Telangana exercised their franchise on December 7. Dedicated teams have been deployed to ensure full security. Diversion points have been put on roads outside centres. There's a three-tier security system. Any device that can help communication isn't allowed inside, says Bhopal City SP on preparations for counting. In Telangana, most of the exit polls have predicted that K Chandrasekhar Rao's Telangana Rashtra Samithi will retain power. While some exit polls have suggested a neck-and-neck contest between the Bharatiya Janata Party and the Congress in Madhya Pradesh, some have suggested that the Congress might have an edge. Counting of votes in Madhya Pradesh, Rajasthan, Telangana, Chhattisgarh and Mizoram is set to begin at 8 am. Over 8,500 candidates were in the fray in polls for these five assemblies whose electoral fate is currently sealed in over 1.74 lakh EVMs, stored in over 670 strongrooms across the five states. The much-awaited results of Assembly elections 2018 in five states – Madhya Pradesh, Rajasthan, Chhattisgarh, Telangana and Mizoram – are set to be declared today. The counting of votes is set to at 8 am and a clear trend can be expected by early afternoon. Madhya Pradesh Chief Electoral Officer, VL Kantha Rao, said, "Counting for the assembly election results will start at 8 am on Tuesday. It will be done in around 22 rounds. At least 15,000 officers and workers will be put on duty for the task. Where mock polls weren't clear, the machines will be taken in the last round and the VVPAT slips will be counted." Re-polling is currently underway at Karanpur Assembly Constituency in Rajasthan's Sri Ganganagar district on Monday. 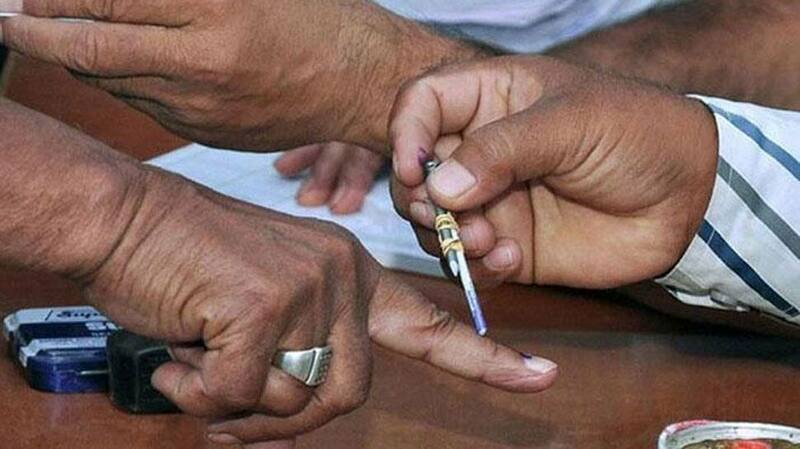 The voting, being held at booth no.163 in Karanpur, began at 8 am and will continue till 5 pm. The Election Commission had ordered re-polling after the electronic voting machines (EVMs) were not cleared of mock poll when the actual polling began, election department sources said. Madhya Pradesh Chief Electoral Officer has announced that there will be no webcasting during the counting of votes. He has also directed that Wifi will not be used in the counting hall. Mizoram is a direct contest between the Congress and Mizo National Front even as Zoram Peoples Movement (ZPM) is trying to make is a triangular contest. The main contest in the first three states is between the BJP and Congress with Ajit Jogi's Janta Congress Chhattisgarh and Bahujan Samaj Party alliance in Chhattisgarh hope to make a mark in the state. Telangana is also witnessing a bipolar contest between the TRS and Mahakutami of Congress, Telugu Desam Party (TDP), Telangana Jana Samithi (TJS)and Communist Party of India. The BJP is a distant third in the state while the All India Majlis-e-Ittehadul Muslimeen (AIMIM) is expected to go with the TRS after the results. Chhattisgarh, Madhya Pradesh and Rajasthan have a Bharatiya Janata Party (BJP) government while Telangana Rashtra Samithi is the ruling party in India's youngest state Telangana. Mizoram has a Congress government.